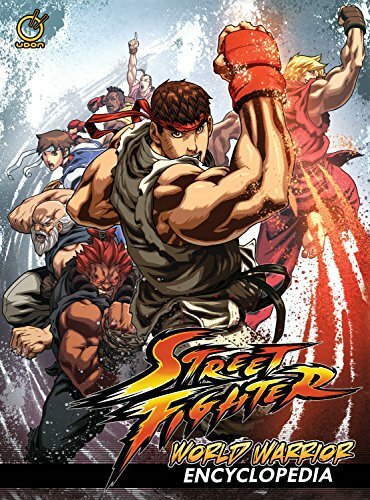 As a fan of Street Fighter games and art, I really enjoyed going through this book learning about all the characters. There are lots of interesting information on each character, such as their origins, allies, enemies, fighting styles, things they like or dislike, and the games they appear in. In terms of the level of depth, it's not as detailed as what you'll get from wikia pages of course. Each character in the book is presented with a one page profile and a full-page illustration on the other. The beautiful artworks would be one of the main highlights for the book. It's also more convenient to have all the characters compiled neatly (alphabetically) in one book. In addition to the main fighting characters, the side characters are also included, but with only face cuts and shorter profiles. Nevertheless, it's still quite interesting to see how inter-related the relationships are between the different characters in the Street Fighter universe. Recommended to Street Fighter fans.